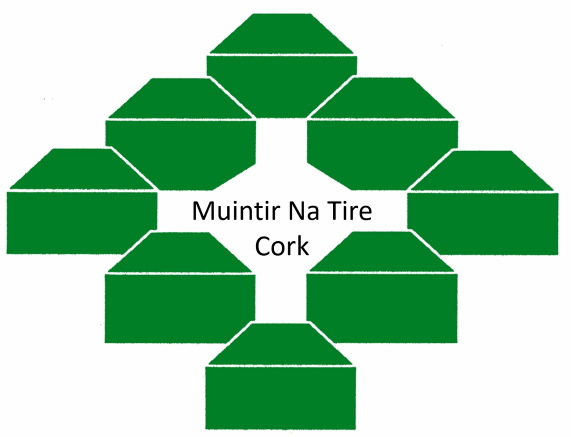 The executive and staff of the Cork County Federation of Muintir na Tire work tirelessly to fulfil Muintir’s Mission, serving three core functions of animation and organization, representation and advocacy and influencing policy. A small group of people on their own are very limited in what they can achieve, but, supported by statutory agencies, much can be done. The CEO of Muintir, Mr. Niall Garvey, recently commended the Cork Federation for engaging so successfully with Cork County Council and with the H.S.E. Enter Ms. Ronnie Dorney, Principal Community worker with the H.S.E., South. For over two decades, Cork County Federation has been supported and assisted by the H.S.E., particularly through Ronnie’s term as Principal Officer. Her cooperation and encouragement often lifted the spirits of our executive, who noted that she is a firm believer that local communities can promote a spirit of community service for the common good. Ronnie is convinced that investment in community projects pays huge dividends and she constantly admires and encourages the efforts made by those involved in the development of our community at each and every level. The executive of Cork County Federation of Muintir na Tire were saddened to hear of Ronnie’s decision to retire in early November. We wish her the very best for decades ahead. We feel that we are losing a genuine friend who empathised with us in our effort to improve the lot our fellow citizens and make our community more vibrant, caring and inclusive. We wish to thank Ronnie for her loyalty, confidence and friendship trough the past two decades.